As per the present service tax law, all services are taxable to service tax @14 % unless they are covered by any of the entries in the negative list or are part of the mega exemption notification. Clause 44 of section 65B of service tax act has stated that services include declared service. Declared service means those services which would be deemed as taxable services and on which service tax has to be paid. Renting of immovable property has been specifically mentioned as part of declared service. This means, rent on immovable property is liable to service tax @14%. Renting of vacant plot with or without structure incidental to its use, relating to agriculture. 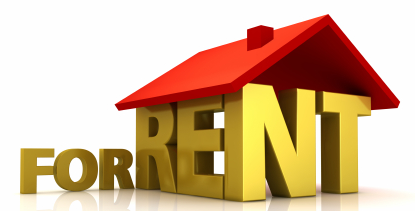 Renting out by government or local authority to a non business entity. As per the second category mentioned above, renting of residential dwelling for use as residence is only non taxable. If such residential property let out for commercial activity then service tax will be charged. Security deposits received by property owner from tenant will not be considered for service tax calculation if the amount received is refundable. At the end of the tenure or during the period, if security money has been adjusted against rent payable then such security deposits will be liable to service tax. Electricity charges paid on actual basis will not be considered for calculation of service tax. Maintenance expenses of building or complex are also considered as a service by which this amount will also be charged to service tax. Taxes on property like property tax should not be considered while calculating the amount to be charged for service tax. However, interest and penalty paid for late payment or non payment of property tax should not be considered as property tax by which interest and penalty will not be deductible. If total value of all services including rent on immovable property does not exceed the threshold limit of Rs 10 lakhs per year. I am paying service tax on rent for a manufacturing unit. Is tax paid modvatable? Is service tax applicable for letting out a residential premises to a company for housing it’s staff for residential use ? How rents are paid? To a single owner or to both? if company letting out a residential premises for employee of the company far from factory and premises owner charging service tax then company can avail the service tax CENVAT? Our Company (public limited) leased out premises to Central Govt.Office. the rent collected per year above Rs. 10 lakh. We are not collecting service tax from lesser. Wether service tax is applicable to company to our company as Central Govt. Office accomodated in our building on rent.